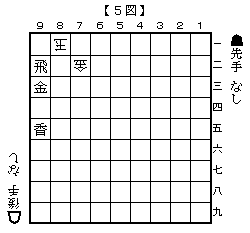 According to Watanabe Akira Blog's entry of May 25(in Japanese), he granted some tsumeshogi problems to his daughter son who is only three years old now. Here are the links to the diagrams of them on his blog. The answer should be N-8c=. His daughter son said. "It's too simple!" The answer should be G*9b. She He solved immediately when it was showed to her. The answer should be P-9c+(or P-9c=, G-9c) K-9a G*9b. She He dropped her Gold on 9c at first to find it's wrong. Then she he sacrificed it on 9a!. Ryuo Watanabe was impressed with her his rich imagination with bitter smile. With master father's advice of keeping the Gold in hand for a while, she he finally found the solution. Please challenge it by yourself. She he made mistakes twice. The first attempt was G*8b in vain. 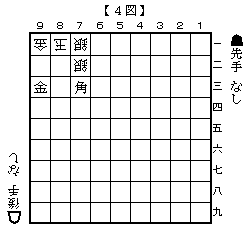 The second mistake was to forget to let a piece get promoted to fail to check the King. And then she finally came to the right answer. 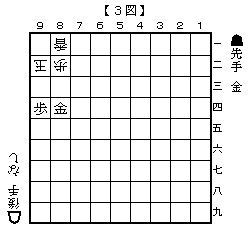 This is a three-move tsume. 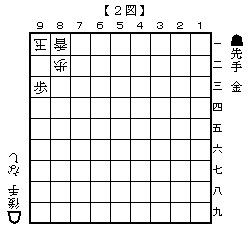 If you fail to solve it, it may be good for you to try T&D tsume practice. Please challenge it by yourself again. 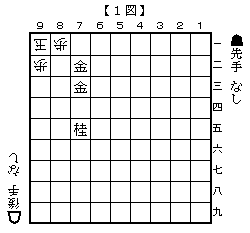 It is a three-move tsume again. She He could not solve it. And her his farther did not give her a hint since he thought it's too early for her his level. Hi. might be a good idea:-). All but the first image link give a 'no permission' error here. I cannot reproduce the phenomenon you encountered here. Sorry.